I've decided to move this weekend to give them time to get this trailer out of here. The sales rep I am working with assures me that everything is moving forward and she will make sure everything works out. So I am going to operate under the assumption that she knows what she's doing and try not to worry so much. Still I won't believe it until we're actually in the new house! I'll be staying at a friend's until final closing -- which will probably be at the end of January. I won't have internet access and so won't be able to update. And I also suspect my web pages are going to go down since I'm cancelling my Verizon account. I'm sorting through 15 years of accumulated junk. Half of it I don't even know why I kept. I've been extremely stressed, but I've lost weight, so I guess I've benefited. I still don't know for sure where I'll end up. One day everything looks good and the next some problem seems to crop up. I go from excited and confident to convinced that I've made a huge mistake. Now I'm worried about getting this trailer off the lot. The guy who was supposed to do it came by yesterday and I don't think he liked what he saw. Which means more money and I'm already $6,000 over what I've been approved for. I want this so much -- both the home and property are as close to perfect as I'm going to be able to get. But that part of me that believes I'm not worthy keeps whispering that since I do want it so much I'm sure not to get it. Some crossed fingers, good mojo, and prayers would really help right now. In stitching news, my rotation has totally been put on hold until I have a home again. I stitched Lisa Cowell's Words to Live By for the special friend who is providing me with temporary shelter. I've also got another project in the works for someone else who I couldn't have done this without. I've also picked two designs to stitch for the new house. 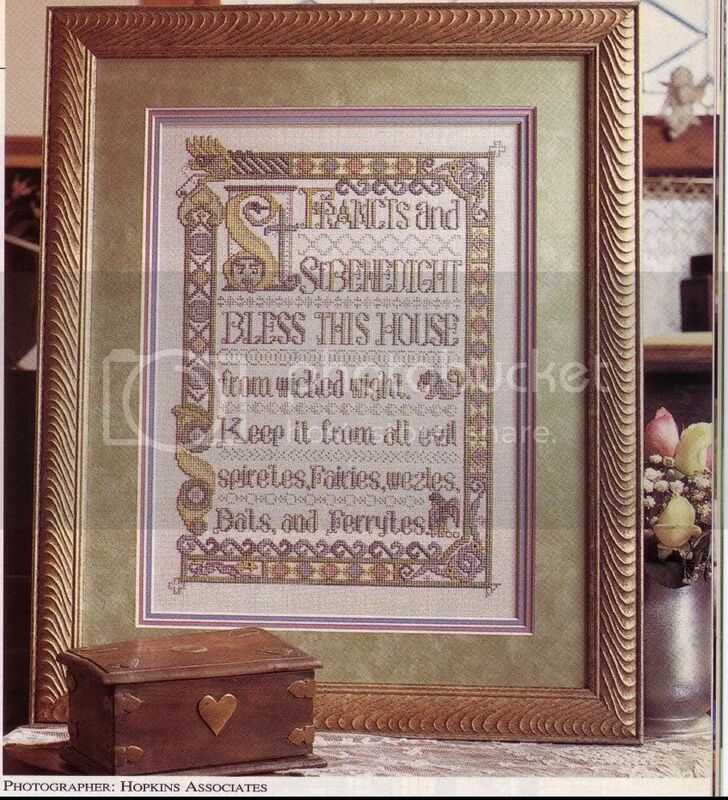 Patricia Andrle's Illuminated House Blessing and Passione Ricamo's Fairy Welcome Sampler. 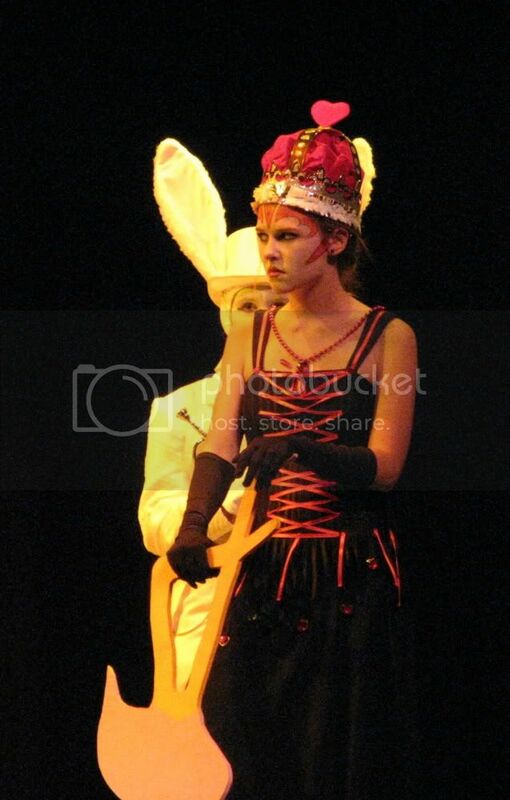 And I can't let you go without raving about my daughter and her fabulous performance as the Queen of Hearts in Alice in Wonderland. Here's a couple of pictures.